There are hundreds of QR, Data Matrix, and various other 2D barcode readers on the market. There is no single reader among them that works on every device and many do not work well, even on the devices they are developed for. Currently, there are approximately fifty barcode formats (code types) including image recognition, in the marketplace. No single reader is capable of scanning all of these code types. Created for PRINT2D clients, 2DGO is the perfect solution to find the right barcode reader for any device. 2DGO provides a single call-to-action for every device in the form of both a url and text solution. Simply TEXT print2d TO 368266 (DOTORG). Or, go to http://2dgo.org on your handheld device. 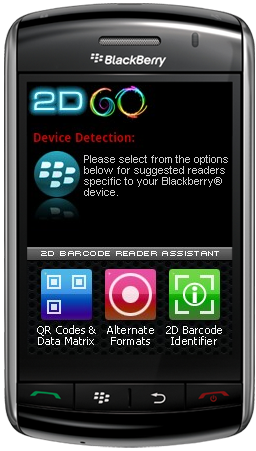 This icon is for suggested alternate 2D barcode format readers, including MS Tag®, Scanlife®, Wimo® and others. 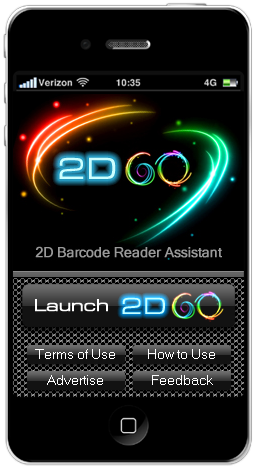 Covering the 10 most popular 2D barcode formats, this icon delivers the best readers based on the aesthetic features of the code itself.